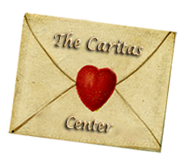 The Caritas Center follows a 150-year healing tradition as practiced by Spiritist Healers in Brazil, in which energy medicine techniques are combined with studies in psychospiritual and metaphysical subjects in order to promote the highest level of healing and awareness of body, mind, and spirit. In addition, by applying the Spiritist philosophy of compassionate service as a vehicle for personal growth, the Caritas community emphasizes the benefits of helping others. As witness to this philosophy, Caritas healers, upon completion of the center’s training course in energy medicine, anatomy/physiology, and spiritual awareness, volunteer their services in the center’s free healing clinic. The Center opened its doors in November 2003, following a week-long series of healing workshops, healing sessions and weekend seminar on Spiritist philosophy given by a visiting Brazilian healer. 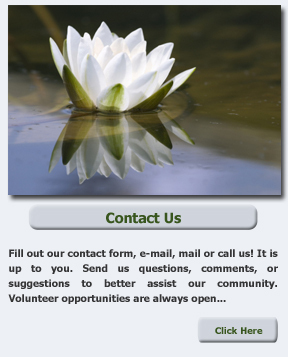 We are a 501(c)(3) nonprofit charity. Promotes the highest level of healing and awareness of body, mind and spirit by means of energy medicine, wellness technologies and psychospiritual training. Introduces Spiritist philosophy as practiced in Brazilian Spiritist Centers – a philosophy of compassion, love and service based in metaphysical science. Provides community access to experts and leading-edge research in the fields of consciousness, healing, and the convergence of science and spirituality. • Healing: Healing sessions, which include psychospiritual counseling, are given by appointment, free of charge. • Education: Training classes are offered in the Spiritist Healing modality and in Anatomy/Physiology. Study groups are also offered, in which participants read and discuss books on spiritual and psychospiritual subjects including Spiritist philosophy and metaphysical science. Additionally, the center frequently hosts special events: resident and guest lectures/workshops given on topics related to healing, consciousness studies, science and personal/spiritual growth. Caritas is fortunate to be located in the Boulder community, which has many talented professionals in these fields. • Integrative Medicine: By creating affiliations with other healing and medical practitioners, Caritas promotes the integration of energy medicine with other forms of healing. Energy Healing Sessions are scheduled by appointment, and in keeping with Spiritist philosophy, there is no charge for energy healing sessions. Classes, Workshops, Lectures and Study Groups on subjects relating to healing, metaphysics, consciousness studies, science, and spiritual exploration. Many of these are free of charge. Check Calendar page for current schedule. “The healings, workshops and energy in the space are invaluable. I am so grateful for their presence in our community. The instructors here are masterful!” — Dale R.